By 2030 the majority of people will be educated abroad! Vlerick is a leading international business school... with a difference. Yes, we offer fully-accredited, world-class education programmes combining a healthy mix of theoretical knowledge and practical insight. Yes, we are a leading academic institution with a strong tradition of innovative and independent research. Yes, we boast internationally recognised, expert faculty with close ties to the corporate world. And yes, we are consistently ranked amongst the top business schools in Europe and the world. However, what truly sets Vlerick apart is not just what we do but the spirit in which we do it. 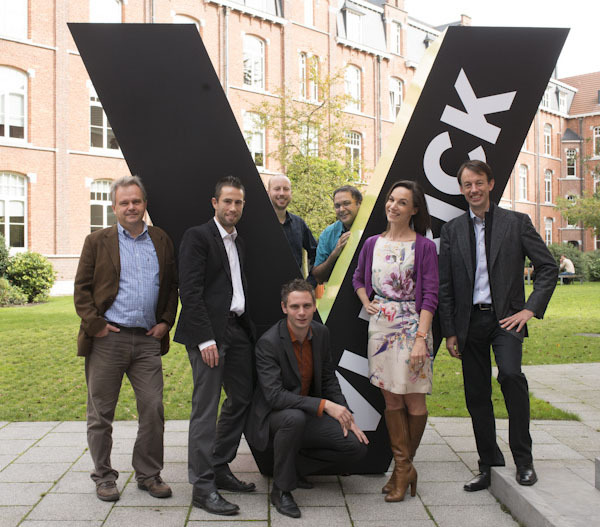 The Vlerick spirit is defined by openness, vitality and a passion for innovation and enterprise. It is a spirit that can be found in every aspect of our school and its activities: from our enthusiastic, highly motivated staff to our innovative and pragmatic teaching methods; from our global network of students, alumni and corporate partners to our inspiring, vibrant campuses. It is all these elements together that have made Vlerick Business School the leading institution it is today: a place where people and organisations come together to shape the future of global business. Join the fast track to a rewarding career in financial management. The Masters in Financial Management (MFM) is your ideal launch pad for a career in the financial services sector or as a financial manager or CFO in an even broader range of companies. Get insights from renowned industry experts who combine their academic background with ample business experience. The Investment Research Challenge will put you to the test and have you working around the clock, to come up with a well-considered investment advice. Gain a solid foundation in all core management disciplines. Whatever your study background, you'll develop well-rounded knowledge and a skillset to maximise your career opportunities. Develop expertise in a number of specialist areas through a broad offer of electivesand hands-on boot camps, and by choosing your own in-company project. For students, highly interested in Human resources, we also offer the optional European HRM exchange. You can join the programme on all three of our campuses in Brussels, Ghent or Leuven. You have the ideas - we’ll teach you how to think and act like an innovative entrepreneur! Today’s business world is constantly changing and management strategies need to be redefined non-stop. So, companies are looking for people who can generate new ideas, apply frameworks and respond to this changing environment. This programme teaches you how to identify and manage new business opportunities. It’s the gateway to a career as an innovative leader in any kind of company- a large consultancy firm, a multinational, or your own business. During the disruption tour to Silicon Valley, you'll get the chance to visit innovative companies, investors and incubators.